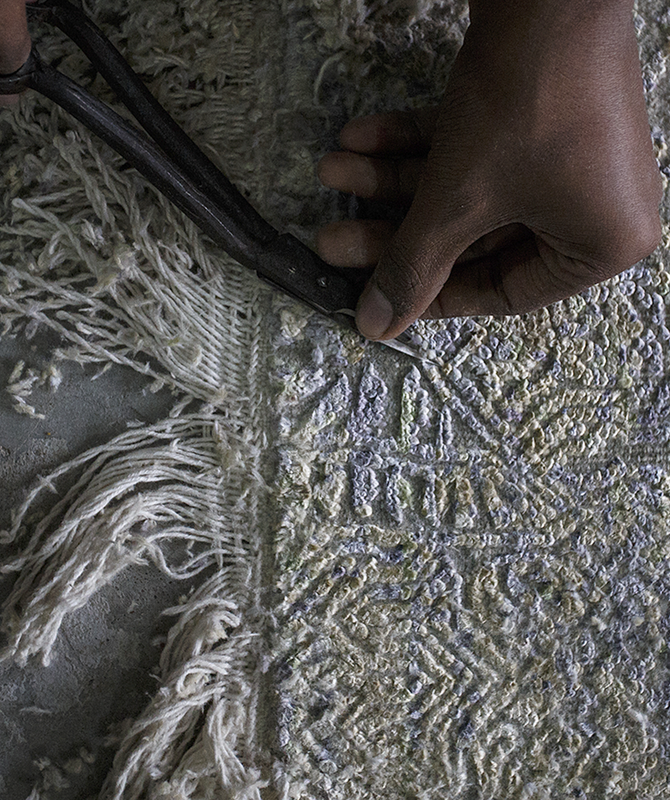 SAMBHAV named after the designer himself, is an exclusive and premium handmade rug atelier. The boutique studio finds its origins amidst the rich design landscapes and ceaseless sand dunes, colorful turbans and faded frescos- the cities of Jaipur and Bikaner in India. Embracing authenticity in aesthetics, Sambhav’s designs carve out a new niche and modernize the traditional mastery of rug making. Whilst reviving the age-old crafts and working with master craftsmen, the design house believes in adding the romance back in this world of mass produce. The result is carpets with handwriting like no other. With color explorations and texture innovations, the brand creates proprietary yarn shades, unique blends and distinctive finishes. The outcome of which is exquisite hand knotted area rugs that are sui generis in design, touch, appearance and experience. His first encounter with rugs was quite by chance. 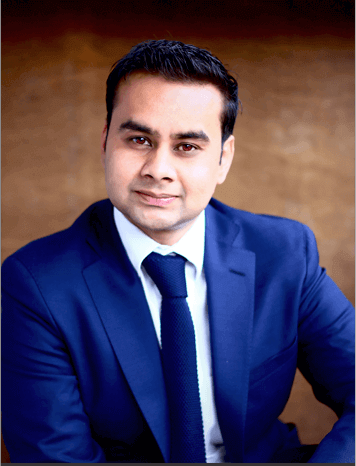 While looking for work experience to obtain admission to a MBA course, Sambhav stumbled upon rugs. What happened after is a journey, that of an accidental designer and an exclusive rug atelier. If you were to meet him you would immediately be drawn in by his infectious passion for what he does: he is an artist, who fell in love with his métier quite by accident and has tenaciously forged his own path ever since. Not having grown up in the industry, he has been free to push himself beyond its conventions and in turn create masterpieces. His ability of being a colour detective and a poet of texture, all at once has resulted in breathtakingly beautiful and seamlessly fine carpets. SAMBHAV oversees the making of his rugs on each step, starting with sourcing the most exquisite silks and wools to hand-dyeing of yarns in seductive and sophisticated palettes to creating designs that are embrace authenticity.